WINNIPEG, MB. – In attempting to keep with the times, the City of Winnipeg will experiment with reverse angled parking beginning this coming Monday, July 24th. 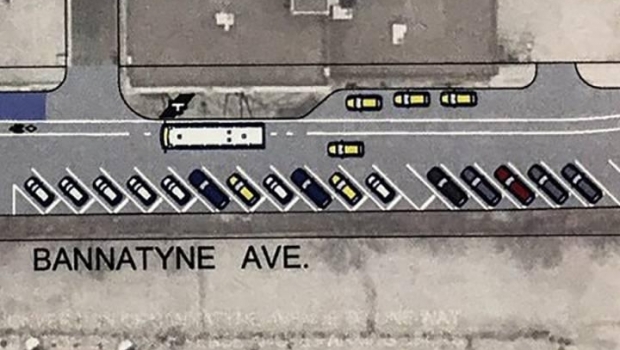 For approximately eight months, angled parking spots will be available on one block of Bannatyne Avenue – creating ten new parking spots in the process. There is a catch, however. Those wanting to park in these new style, angled spots will need to back into position. Unlike the popular tourist town of Kenora, Ontario, this strip of parking spots in Winnipeg’s Exchange District will require entrance by reversing one’s vehicle into place, after passing the desired parking location. The City of Winnipeg released a statement suggesting that angled parking is the way of the world, and Winnipeg residents should be excited to try the new style of parking. The new parking lines will be painted for Monday morning.